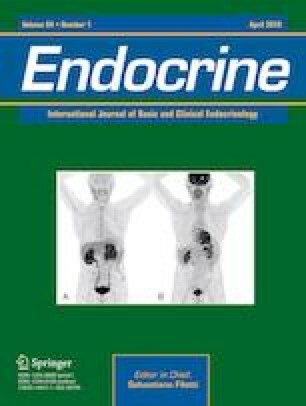 Persistent elevation of thyroid-stimulating hormone (TSH) is common in endocrinology practice in patients undergoing replacement or suppression therapy with levothyroxine sodium (LT4). After examining the causes of this condition, LT4 absorption test is recommended. In this report, we wanted to share our results of LT4 absorption test in patients with elevated TSH levels. The files of patients who presented to our clinic between 2015 and 2018, whose TSH elevation continued despite high-dose LT4 therapy, and who underwent absorption test were reviewed retrospectively. Levothyroxine sodium absorption test was applied to five patients. Absorption test revealed LT4 malabsorption in two patients and pseudomalabsorption in the other three patients. When all published pseudomalabsorption cases were considered, it has been stated that at least 2.5 times increase in basal fT4 level may exclude malabsorption. The formula we used has been implemented by Cleveland Clinic since 2014. In cases where TSH normalization is not achieved despite high doses of LT4 therapy, LT4 absorption test is an easy test for administration and interpretation and prevents unnecessary medical treatments and examinations. I.Y.S. and U.E.S. wrote the manuscript. I.Y.S. and A.G.O. reviewed/edited the manuscript.